Wiko Upulse is a new mid range from French company, Wiko. It features a 5.5-inch IPS display and is one of the first set of smartphones from Wiko for come with Android 7.0 (Nougat) out of the box. Wiko Upulse sports an 13 megapixels rear camera and a 8 megapixels front camera. 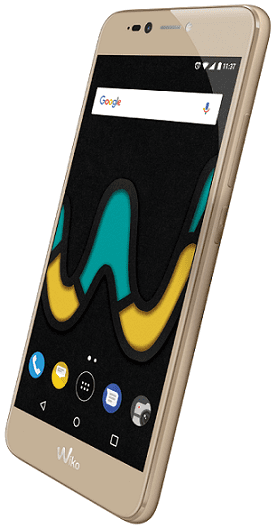 Wiko Upulse sports a metal design available in Gold, Cherry Red, Deep Bleen or Black. The 5.5-inch IPS display offers 720 x 1280 pixels resolution. The bright 500-nits display as well as the entire front of the phone is covered in 2.5D glass. The 13 megapixels on the back features auto-HDR, LED flash, and autofocus. Wiko UPulse also provides a soft flash for the 8 megapixels front facing camera. The phone has a fingerprint sensor on the back. Wiko Upulse runs Android 7.0 on a 1.3GHz quad-core processor with 3GB RAM. You also get 32GB built-in storage with support for up to 128GB via a microSD memory card. Wiko Upulse supports LTE with download speeds of up to 150 Mbps. Wiko Upulse is not yet available in Nigeria, Ghana, or Kenya. When available, you can buy the Android phone at leading online stores in the countries. Wiko Upulse price in Nigeria is expected to range from 65,000 Naira to 105,000 Naira. Price in Ghana should start at around GH₵ 725. Wiko Upulse Price in Kenya is expected at around 14,500 KSh.